Hotels today are under pressure from short-stay rentals, tight consumer budgets and intensifying competition from rival chains. Providing a consistent guest experience is still the key to brand loyalty, repeat visits and solid ratings. Obviously, staff play an enormous role in customer service and are the face of the hotel. But not so obvious, is the role that technology like printers or multi-function devices play, devices that your staff and guests rely on day to day but are often overlooked as a core component to support the operations of a well-run establishment. Whether it’s front desk, back office or technology centres for guests, devices that often break down or don’t have the quality and functionality your guests are looking for can have an impact on the delivery of consistent service and leave a negative image in their minds. And we all know, in our day an age, word of poor experience travels fast. Your team, no doubt, is under pressure. 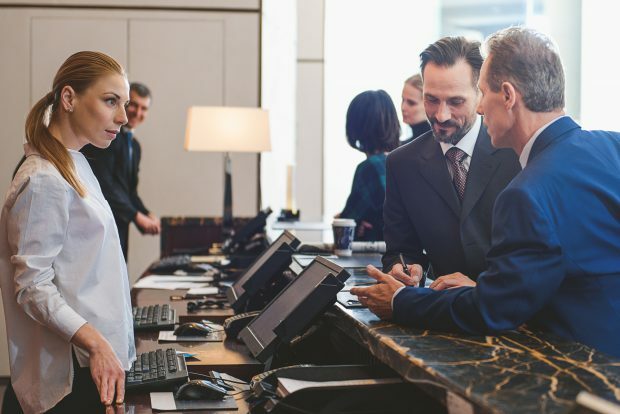 Guests need a seamless check-in, check-out processes and need to feel looked after at all times of the day and night – the last thing they should worry about are large, clunky devices that only work half the time. Having fast, reliable and easy-to-use print devices available to all staff, whether at reception or in the back office, goes a long way to ensuring operations run smoothly. To achieve this, you don’t need a large monstrosity such as a copier – print technology has improved significantly in recent years. There are now small footprint devices that can print at high volumes, with fast print speeds and have robust builds that can consistently perform. Smaller also means that you can hide the device in your reception area so it’s your staff that are front and centre of the customer experience. On the other side of the ledger, your guests will often be working with printed documents like maps, directions, itineraries, tickets and more. If you can offer easy to use and accessible devices that can print and scan from mobile devices (so they can take a hard copy of their documentation with them), they’ll quietly bless you. Guests will often store the documents they need in cloud storage like Google Drive, Dropbox or Onedrive, so having printers that can connect and print directly from cloud storage is becoming more essential when considering devices for guests. So, no matter whether you’re a small independent operator or part of a global chain, we know your staff and your guests will need access to printers, scanners and copiers. Providing them with simple solutions will reinforce the message that your number-one concern is giving them the best experience possible.